Most of modern Christianity has misunderstood what Jesus said on this topic and has decided to apply justice, mercy and faith without law. Some who think the law is done away think you can still have justice, mercy and faith, but that doesn't sense. How can you apply "justice"— a legal term — if there is no law? How can you apply mercy when there is no reference point? I thought I'd continue on with a topic I covered over a year ago. Jesus had many altercations with the Pharisees of His day. An example of this is in Matthew 23:23. Jesus was very fired up here. He says: Woe to you, scribes and Pharisees, hypocrites! For you pay tithe of mint and anise and cumin, and have neglected the weightier matters of the law: justice and mercy and faith. These things you ought to have done, without leaving the others undone. The Pharisees and their counterparts had no understanding of what the law was about and seemed to think that legalistically keeping law had some value. But you would have to ask yourself if some of the things they did had any value at all. There is no doubt whatsoever which law Jesus was talking about here. Everyone listening to him knew He was talking about the first five books of the Old Testament. Isaiah prophesied when the Messiah came He would exalt the law and make it honourable. And certainly by the time of Jesus the law of God was being implemented in a very dishonourable way. Jesus didn't want to have a bar of it and corrected their customs, exalting the law and making it honourable, which is what He was prophesied to do. Jesus certainly wasn't in favour of disregarding the law. He corrected the wrong and hypocritical applications of the law of God. Jesus made it clear that it's possible to keep the law of God, but if you ignore the important principles of justice, mercy and faith, you could be wasting your time. Worse still, you could be a hypocrite! Most of modern Christianity has misunderstood what Jesus said on this topic and has decided to apply justice, mercy and faith without law. People think the law is done away with, but you can still have justice, mercy and faith. But that doesn't make sense. How can you apply justice, which is a legal term, if there is no law? How can you apply mercy when there is no reference point? Justice, mercy, and even faith when we understand it correctly are matters of law, as Jesus said here. You can't apply justice without a reference point. How do you determine what is right and wrong? So if we are going to make correct judgements and have the wisdom and discernment to be successful in life, we need to clearly understand what our benchmark is. If we want to be just and merciful where's our reference point? Otherwise our judgements will be without foundation and will vacillate and change throughout the years. Just because someone says the law is done away with, doesn't mean that person doesn't have 'a law' or a set of values they live by. Everyone has a standard of right and wrong to some degree. What we're asking is where does the standard come from? Everyone has a standard of right and wrong to some degree. What we're asking is where does the standard come from? Some believe God will put a standard of righteousness in your heart, but let's be real. Our conscience has to be trained by something. For example, my neighbour may have different standards to me because he has had different training. When we don't have a clearly defined basis for right and wrong, the standards we live by can change throughout our lives. Witness modern Christianity - it moves with the attitudes of society by condoning all sorts of things which would have been regarded as sin years ago. I went to a religious school and some things that were considered wrong back then are now okay. They have moved with the times, albeit their views would still be considered conservative. So values change with the times and influence of different cultures when there are no defined reference points. Some people think they can determine right and wrong because God's Spirit comes upon them, but Jesus always referred to Scripture when challenged. He always opened his remarks with 'It is written' when He was answering a challenge. God does not override freewill just because you desire to follow Him. He doesn't jam a conscience in your head so that you suddenly know right from wrong. You have to be trained. That's what Scripture is about. God wants us to study and put out effort to understand right and wrong. It's very, very important. God wants us to show ourselves worthy of our calling. We have to study what it means to be just and merciful, and have a reference point in law. If we believe there is an unchangeable, righteous God, who knew what He was doing from the start, and we do believe that, then the Scripture which He gave from the start should still be as valid today as it was back then. He is an unchangeable God, and the words of this entire book have to be a guide to our life, not the continually changing standards of the society or of the Church we belong to. So today I want to focus on the first of these weightier matters of the law. I did a sermon on mercy some time ago, but I want to focus this sermon on justice, as it's usually translated. The Old King James Bible says judgement -- judgement, mercy and faith, but justice is actually righteous judgement. That's the definition of the word justice. It's righteous judgement. It's something we all need in our lives -- in our relationships, in our marriage, in business and the Church. We have to make sure we can make righteous judgements and we've got to have a reference point to do so. Matthew 5:17-19 Do not think that I came to destroy the Law or the Prophets. I did not come to destroy but to fulfil. For assuredly, I say to you, till heaven and earth pass away, one jot or one tittle will by no means pass from the law till all is fulfilled. Whoever therefore breaks one of the least of these commandments, and teaches men so, shall be called least in the kingdom of heaven; but whoever does and teaches them, he shall be called great in the kingdom of heaven. There's no doubt what Jesus is talking about here. He's talking about the law, the first five books of the Bible that are generally attributed to Moses. If we look at verse 18, the New International Version says, Matthew 5:18 For truly I tell you, until heaven and earth disappear, not the smallest letter, not the least stroke of a pen, will by any means disappear from the Law until everything is accomplished. We believe in God's law and we believe these laws are true. I believe in this whole Bible and I accept all of Scripture. So I keep the 10 commandments and the Holy Days; I don't eat blood and try my best to keep the laws of clean and unclean foods as outlined in the Bible. If we get down to the 'jot' and 'tittle' level, however, we've got a few problems because there are parts of Moses' law that we don't keep today. Are we going to believe all of Scripture minus the bits we don't like or not? For example let's look at Deuteronomy 22. I could pick a lot of verses, but I'll pick this one. Deuteronomy 22:9-12 You shall not sow your vineyard with different kinds of seed, lest the yield of the seed which you have sown and the fruit of your vineyard be defiled. You shall not plough with an ox and a donkey together. You shall not wear a garment of different sorts, such as wool and linen mixed together. You shall make tassels on the four corners of the clothing with which you cover yourself. Well, what do we do about this? Have you checked your socks to make sure that the fabric isn't linen and wool mixed together? Do you have tassels on your clothing? If Jesus said not one jot or tittle of the law was done away with, why don't we do these things? A lot of people would say, Gotcha! You can pick and choose what you like, but why don't you do these things? What about the law in Leviticus which says, Do not shave around the sides of your head, nor shall you disfigure the edges of your beard. I don't see many beards here today. Are we in contravention of the law? What if someone says to you, Well if these Old Testament laws are so great, why do they seem to support polygamy and slavery? Let's look Exodus 21:2. If you buy a Hebrew servant, he shall serve six years; and in the seventh he shall go out free and pay nothing. Why didn't God just say, You shall not buy and sell servants? Wouldn't that have been a better law? God was so kind to the strangers, the fatherless and the widows in His law. Why then would He have whole sections about slavery? What's that about? Why didn't God simply say, You shall not take another wife? Wouldn't that have resolved a lot of matters? People get stumped by this. But if we are to have righteous judgement and understand the weightier matters of the law, we really need to understand the underlying principles. So today I want to review some of the keys we need to apply. I've six principles to aid in developing righteous judgement. The first key to understanding the law, in fact, any law is to look at the lawgiver behind the scenes. The lawgiver in this case is God. It wasn't Moses. Then once that's determined we have to look at the overall outcome God was trying to achieve by giving these laws to Israel. 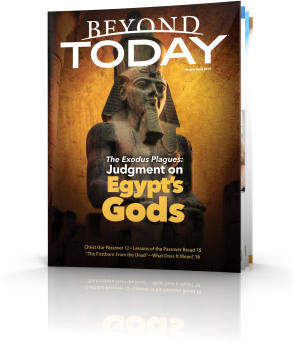 Was God simply trying to control the Israelites or punish and oppress them as some people have suggested? Let's look at Deuteronomy 7: 6-8 These verses make its extremely clear why these laws were given to Israel in the first place. This first key point then is that God wasn't intending to harm people with some oppressive law. The law was meant to bless them. The whole point of why God actually went out of His way to personally outline, with His own voice, the law up there on the mountain to Moses was that He loved the Israelites. They were a special treasure to Him and He gave these laws as a great blessing. Now let's turn to Deuteronomy 10:15 The Lord delighted only in your fathers, to love them and He chose their descendants after them, you above all peoples, as it is this day. These verses are talking about Abraham, Isaac and Jacob. Deuteronomy 11:1 Therefore you shall love the Lord your God, and keep His charge, His statutes, His judgements, and His commandments always. God loved Abraham, Isaac and Jacob dearly and giving these laws to Israel was part of His desire to building a loving relationship and a successful society. It's obvious if you take the time to read the background context that God wanted that relationship with Abraham to continue on to his descendants. God wanted these people, who had been enslaved for years and oppressed by their hard task masters, to develop such a love for Him that He could bless them and develop a real personal relationship with them. Giving His law so that the society had a fabric of right and wrong, was an incredibly important part of how God was going to achieve that goal. It was interesting to note, that in Iraq, East Timor and Afghanistan, the first thing that was said after the troops went in was: We've got to restore the rule of law, otherwise the society has no rules. We can't do anything unless we have the rule of law restored. The second key I have to understanding righteous judgement and understanding law is the knowledge that the laws of the Old Testament are not random. It's important to seek out the intent of the law. Many people today think God just arbitrarily made up a series of laws so that He could teach people obedience. The Pharisees had that view. God's laws are not some sort of IQ test or obedience test. They are a source of great understanding and positive reward. So let's look at Deuteronomy 4:5-8 Surely I have taught you statutes and judgements, just as the Lord my God commanded me, that you should act according to them in the land which you go to possess. Therefore be careful to observe them; for this is your wisdom and your understanding in the sight of the peoples who will hear all these statutes, and say, Surely this great nation is a wise and understanding people for what great nation is there that has a God so near to it, as the Lord our God is to us for whatever reason we may call on him. And what great nation is there that has such statutes and righteous judgements, as all this law that I set before you this day. Deuteronomy 10:12-13 And now, Israel, what does the Lord your God require of you, but to fear the Lord your God, to walk in all His ways and to love Him, to serve the Lord your God with all your heart and with all your soul, and to keep the commandments of the Lord and His statutes which I command you today for your good? These laws were designed to teach people understanding and how to have a happy and productive life. They were there to teach an understanding of the great Creator God, of His purpose and intent for everyone. The Sabbath for example, is not just an arbitrary concept. Jesus made it clear it was made for man as a blessing. Why? So that we keep the correct perspectives on life, and that we didn't lose sight of its true purpose. We would just lose our way if we just don't put time aside for God each week. God knew that, so He gave the Sabbath as a gift. The same is true of the annual Holy Days. They have been given to us to teach us about the great Creator and His plan -- not just a test to see if you turn up at services. All people have some degree of common sense and know certain things work. If you honour your parents and are kind to people things work and you can build a community. If you murder people, commit adultery, back stab and steal peoples' lives are destroyed and society falls apart. God's law is not a series of random ideas, but is there to reflect the reality of life, and the standards of right and wrong of God's own character, which never changes. It was for this reason that King David loved the law so much. The third key to righteous judgement is that we must look beyond the actual judgement to the underlying principle. For example, let's turn to Deuteronomy 25:4 You shall not muzzle an ox while it treads out the grain. This is a seemingly simple law which appears to be thrown in out of the blue. Most people would say, Well that's nice, it has to do with looking after animals and it's good to be kind to animals, but I don't have any animals so it's irrelevant. If we turn over to 1 Corinthians 9, Paul makes an incredible link from Old Testament law showing the underlying principle is far more important. Paul was doing God's work and although, at times, he did work as a tent maker, in this case he was living off donations from the Corinthian church and some people criticised him for that. 1 Corinthians 9:4-6 Do we have no right to eat and drink? Do we have no right to take along a believing wife, as do also the other apostles, the brothers of the Lord, and Peter? Or is it only Barnabas and I who have no right to refrain from working? Also 1 Corinthians 9:7-8 Whoever goes to war at his own expense? Who plants a vineyard and does not eat of its fruit? Or who tends a flock and does not drink of the milk of the flock? Do I say these things as a mere man? Or does not the law say the same also? 1 Corinthians 9:9 ...Is it oxen God is concerned about? Or does He say it altogether for our sakes? For our sakes, no doubt, this is written, that he who plough should plough in hope, and he who threshes in hope should be partaker of his hope. Paul is saying that the principle behind the verse is that someone labouring on behalf of God should be able to live off the tithe and offerings. Paul goes further in 1 Corinthians 9:11-12 If we have sown spiritual things for you, is it a great thing if we reap your material things? If others are partakers of this right over you, are we not even more?" He summarises his argument in 1 Corinthians 9:14 Even so the Lord has commandedthat those who preach the Gospel should live from the Gospel. With this understanding, an otherwise irrelevant law of not muzzling the ox, all of a sudden has enormous ramifications. When Paul says, Is it an oxen that God is concerned about? We can equally say, is it rounded beards that God is concerned about? Is it tassels on clothing that God is concerned about? The answer is, not really. The underlying principles behind these laws are as relevant to us today as they were thousands of years ago as long as we understand what the intent is. To do that, we have to meditate on them. Let's turn to Deuteronomy 22:9-11. I have already read this but I'll read it again. Deuteronomy 22:9-11 You shall not sow your vineyard with different kinds of seed, lest the yield of the seed which you have sown and the fruit of your vineyard be defiled. You shall not plough with an ox and a donkey together. You shall not wear a garment of different sorts, such as wool and linen mixed together. If you had a plough with an ox and a donkey hitched to it they'd walk in circles and kick each other. No farmer would ever do such a thing. If you mixed linen and wool mixed together in a garment it would stretch and go out of shape. 2 Corinthians 6:14-16 Do not be unequally yoked together with unbelievers. For what fellowship has righteousness with lawlessness? And what communion has light with darkness? Or what part has a believer with an unbeliever? And what agreement has the temple of God with idols?" Paul shows this is not about oxen and donkeys or linen and wool, but an important principle to make our lives successful. So many marriages and businesses have come to grief because they're unequally yoked. Now, what about the tassels on clothing? This reason for this is actually explained in the law itself. Numbers 15:38-40 Speak to the children of Israel: Tell them to make tassels on the corners of their garments throughout their generations, and to put a blue thread in the tassels of the corners. and you shall have the tassel, that you may look upon it and remember all the commandments of the Lord and do them, and that you may not follow the harlotry to which your own heart and your own eyes are inclined, and that you may remember and do all My commandments, and be holy for your God. The purpose of that law was to remind people of God's ways, in a godless society. The blue thread was not the critical point. Nor were the tassels. They were just there so people would remember God and seek Him. The principle of that law is very applicable for us today. You should read that and ask yourself what reminders am I putting in my life to seek God on a daily or weekly basis? Am I letting weeks go without praying or studying? We need tassels, or reminders, that are relevant to us, in the 21st century, to remind us of God and His way of life. The parables of Jesus Christ seem simple at first glance, but upon meditation Jesus' parables are deeply life-changing. This is the same approach we need to take to some of the laws in the Old Testament. There's the same mindset behind these laws and the parables. The fourth key to aid in developing understanding and becoming a person of righteous judgement is that God expects us to make sensible, practical decisions beyond the letter of the law. The Pharisees missed this point totally and ended up with bizarre and contradictory behaviour which Jesus condemned. Jesus went out of his way to teach that good sense must be applied when dealing with the law of God otherwise we may end up in situations which are actually contrary to the law. There's an example in Deuteronomy 5 which shows how important it is to make decisions beyond the letter of the law. Deuteronomy 5:12-14 Observe the Sabbath day, to keep it holy, as the Lord your God commanded you. Six days you shall labour and do all your work, but the seventh day is the Sabbath of the Lord your God. In it you shall do no work: you, nor your son, nor your daughter, nor your manservant, nor your maidservant, nor your ox, nor your donkey, nor any of your cattle, nor your stranger who is within your gates, that your manservant and your maidservant may rest as well as you. Now that's pretty clear isn't it? Now let's read Luke 13:10-13 Now He [Jesus] was teaching in one of the synagogues on the Sabbath. And behold, there was a woman who had a spirit of infirmity eighteen years, and was bent over and could in no way raise herself up. But when Jesus saw her, He called her to Him and said to her, Woman, you are loosed from your infirmity. And He laid His hands on her, and immediately she was made straight, and glorified God. Why did he say that? The leader of the synagogue was actually right as we read in Deuteronomy. Jesus goes on in Luke 13:15 ...Does not each one of you on the Sabbath loose his ox or donkey from the stall, and lead it away to water it? That's not in the Bible. There's no allowance whatsoever for watering your donkey. But, Jesus was very angry about what the leader of the synagogue had said and made it clear the Pharisees should have understood what He was doing. Righteous judgement, or a correct application of the law, was that the woman should be healed. Instead the Pharisees quoted the law that you don't work on the Sabbath. Even the Pharisees realised you can't leave your poor animal without food and water all day, even though it was not specifically mentioned in Scripture. Jesus was giving his clear approval of the practice. It was never God's intention to starve animals on the Sabbath. Righteous judgement is required to apply God's law correctly. But Jesus goes even further in the next chapter. Luke 14:5-6 …Which of you, having a donkey or an ox that has fallen into a pit, will not immediately pull him out on the Sabbath day? And they could not answer Him..."
These people knew the law. There is no provision to pull an ox out of a hole on the Sabbath. It's a lot of work. It could take you hours, and maybe you'd have to get help. Jesus said it was okay not just to water the animal but, if necessary, no matter how many hours it might take, to pull your large cow out of a ditch. Again, the example is not in the law, but it's a right and practical judgement. There's another example in Matthew 12. This time Jesus was criticised as he walked through the grain fields. His apostles were picking and eating the grain as they walked along. Matthew 12:1-2 At that time Jesus went through the grain fields on the Sabbath. And His disciples were hungry, and began to pluck heads of grain and to eat. And when the Pharisees saw it, they said to Him, Look, Your disciples are doing what is not lawful to do on the Sabbath! By meditating on the answer Jesus gave you can see He was trying to teach the Pharisees to think differently. Matthew 12:3-5 Have you not read what David did when he was hungry, he and those who were with him: how he entered the house of God and ate the showbread which was not lawful for him to eat, nor for those who were with him, but only for the priests? Or have you not read in the law that on the Sabbath the priests in the temple profane the Sabbath, and are blameless? Matthew 12:6-7 Yet I say to you that in this place there is One greater than the temple. But if you had known what this means, 'I desire mercy and not sacrifice,' you would not have condemned the guiltless. What Jesus is talking about here is that discernment and judgement is necessary to keep the Sabbath correctly. If you read the story of David with Abimelech you know Abimelech was wondering whether he should give David and his men the showbread. But it's clear God held him guiltless when he did so, because it was a matter of mercy. The men were hungry. And Jesus used this example to show God expects us to apply His laws intelligently and to meditate on them. You've got to ask yourself how this works in the reality of life? What is practical and keeps to the spirit of the law. As far as keeping the Sabbath goes, you'll have to work out all sorts of things at home and you'll need to make lots of judgements. If you never practice making those judgements and either pass on the decision to someone else or follow the letter of the law, you won't develop wisdom. These laws are like parables that need to be meditated about and applied logically and with intelligence. The fifth point for making righteous judgements is related to the previous one. It's that we should always seek to understand the context and meaning of the law. If we just look at words in isolation, without knowing the context or background, we can come to a totally wrong understanding, as the Pharisees often did. For example there are people today, and we saw them as we were travelling through Israel, who will not round their beards. They grow ringlets. They also will not eat milk and meat products together. They do that because the law says, you should not cook a calf in its mother's milk. Some people think they should never eat meat and cheese together in case the cheese happens to be, by incredible coincidence, from the mother of the calf or sheep being eaten. Again the whole point of the law is being ignored. This law relates to God's command to Israel not copy the pagan worship of the nations around them. Cooking a calf in its mother's milk was often part of the religious practices of the pagans living in ancient world. The same applies to the custom of rounding beards. Sun worshippers used to wear their beards in a certain way and God instructed the Israelites not to copy their ways. God didn't want the Israelites to be like the surrounding nations, and he did not want them to represent themselves as pagans by observing their customs or looking like them. Again, is the principle something we can apply today? I think so. We should go out of our way not to represent the depravities of the society around us. We are told, like the ancient Israelites, that we should be examples. So the principle of that law has nothing to do with the shape of your beard, it has to do with what you stand for and what you represent. What about polygamy and Christian marriage? Why does God have a law for men with two wives, if He is not in favour of polygamy? Why is it sort of allowed, so to speak, in the law of Moses? Jesus was asked what amounts to the same question in Mark 10 and we can learn a lot about judgement and law from the answer he gave. Mark 10:2-8 The Pharisees came and asked Him, "Is it lawful for a man to divorce his wife?" testing Him. And He answered and said to them, What did Moses command you? They said, Moses permitted a man to write a certificate of divorce, and to dismiss her. And Jesus answered and said to them, Because of the hardness of your heart he wrote you this precept. But from the beginning of the creation, God made them male and female. For this reason a man shall leave his father and mother and be joined to his wife, and the two shall become one flesh; so then they are no longer two but one flesh. Jesus said it was because of their hard heartedness that some laws had to be made. Mark 10:10-11 In the house His disciples also asked Him again about the same matter. So He said to them, Whoever divorces his wife and marries another commits adultery. Divorce in this instance is clearly something outside God's standards. He didn't want divorce. In the book of Malachi God says He hates divorce, but sometimes it's better for people to separate than be in a destructive relationship. So because sin is in the world, divorce is going to happen. God established laws of divorce so it would be managed properly, but it's not what He really wanted. The same goes for polygamy. From the beginning of creation it was God's plan for man to have one wife. Two were to become one. That's what God intended but look at the example of Jacob who was tricked by his father-in-law and ended up with two wives. Also, back in those days, widows were very much at risk in society. Usually brothers would have to support a widowed sister-in-law otherwise they would starve to death. And a man could end up with more than one wife for a number of reasons. It wasn't desirous to have as many wives as Solomon, but legislation was required to ensure the second wife, or wife that was loved less, was treated kindly. If we look at the context, God wasn't promoting divorce or polygamy just because He gave laws to regulate those circumstances. The laws were there to manage situations that already existed in society. We have a similar situation in the Church today. In a perfect society where everyone obeyed God's laws and treated each other properly, these situations would not arise. In his mercy God established laws to manage the situation for the good of society. Take slavery for example, could anyone really think it was God's desire for Israel to enslave their own people? We read earlier there that God had gone out of his way and performed mighty works to free the Israelites from slavery. God's preference is that no one was enslaved. Again we have to look at the context. We enslave people today and we put them in jails.They can't leave. The law in the Bible on slavery is far more merciful and makes more sense. There is even discussion now about letting certain prisoners out of prison and having them make recompense in some way for the people they have wronged. God regulated the laws on slavery to ensure that not only the slaves were protected, but they were able to repay the people whom they had wronged. They were in service to them for so many years to pay them back. What a great law that is. If someone burnt your house down, what's the good of locking them in a room twenty miles away, when they could work for you and make amends. God also regulated the laws on slavery to make sure that slaves were not abused. So when we read some of these laws which are hard to understand, we should think about the context in which they were given. Maybe they exist because of the culture of the day or because of the hard-heartedness of people. The sixth point to developing judgement and righteousness is to understand the different levels of jurisdiction in the law. What I mean by this is when God gave His law He included laws for personal behaviour, but He also gave laws for the founding of a nation and for the community. One of those community laws, for example, allowed for the establishment of cities of refuge. These were cities where people who committed crimes could be protected until they saw a judge. There were also laws concerning the release from debt and to allow poor people to glean a neighbour's field. If you lived in Israel at that time you were within your rights to wander through your neighbour's field and pick and eat as you went through. These were laws for the administration for a nation and one day, there'll be similar laws implemented in the Millennium to manage society. The eye for an eye principal is an excellent law when applied to national justice, but it's not for an individual to apply and take personal revenge. The law of Moses said you are not to take personal revenge, but the nation was allowed to have judges. We must understand where personal jurisdiction starts and ends. For example, an individual could not single-handedly decide to implement the Jubilee year and not pay their debts. This is not a personal law. It only works if the whole society is working together. We have different national laws today. You can't jump over your neighbour's fence and help yourself to the lettuce in the garden. That's called stealing. So when we read the books of Moses, we have to understand which laws have to do with us personally and which have to do with a national law that's no longer relevant in our society today, but many will probably be implemented again when Christ returns. The Holy Day calendar is a good example of a law in that category. People have no authority whatsoever to implement a Holy Day calendar. That's not a matter for personal jurisdiction. Jesus made it clear that administrative matters like that were to be handled by the Church in the New Testament. It's important to correctly discern where our personal jurisdiction starts and ends. As New Testament people of God, we are to look at how we personally behave. That's where our personal jurisdiction is. Well I could go on, but I can only touch on some of the key principles today. I certainly encourage you to study further. When we take the time to study the Old Testament laws it should become obvious that far from being a dead and outdated section of the Bible. The laws of God given to Moses, actually contain vital principles that teach us wisdom, discernment, and how to be successful in this modern age. They are very, very applicable. That's why not a jot and tittle has passed away, because every part is relevant for our bible study. The great God we worship has a standard of character that just doesn't change. How can you do away with something if it's truth? It may be implemented differently in our society, but even those laws that don't have direct application, probably do have some relevance to our life in principle. It's necessary to meditate on these words, if the law is going to have any value to you personally. The real benefit comes to those who seek God wholeheartedly and pray for wisdom and seek to live by every word that proceeds out of the mouth of God as Jesus said.